Described as “a little bit of Mary Black and Cara Dillon, with some Emmylou Harris with Alison Krauss thrown in”, Co. Down singer songwriter Brigid O’Neill’s star has been steadily in the ascent since the release of her debut EP ‘Arrivals and Departures’, followed by the insistently catchy single ‘Don’t Make me Go to Town’. Plaudits have continued to rain down with the release of her remarkable new album ‘Touchstone’. O’Neill’s debut album, produced in Belfast by critically acclaimed songwriter, Gareth Dunlop, (Tim McGraw and Faith Hill), and mastered in Nashville, featuring co-writes with Thomm Jutz, (Nanci Griffith) exhibits the full spectrum of her formidable repertoire. Fans and critics alike have been drawn, not only by the sweet recipe of country-folk and blues blended with a delicious dash of jazz that has become her trademark ‘sound’, but also by the rapid development of an artist who has just set out on her journey. Having won a prestigious Arts Council of Northern Ireland Artist Career Enhancement Award in 2016, which came hot on the heels of a Roots Radio Singer Songwriter of the Year nomination earlier the same year, in the last twelve months alone, she has sold out shows throughout NI, also opening for and singing alongside stars like Eddi Reader, Duke Special, Frances Black and Mary Coughlan. 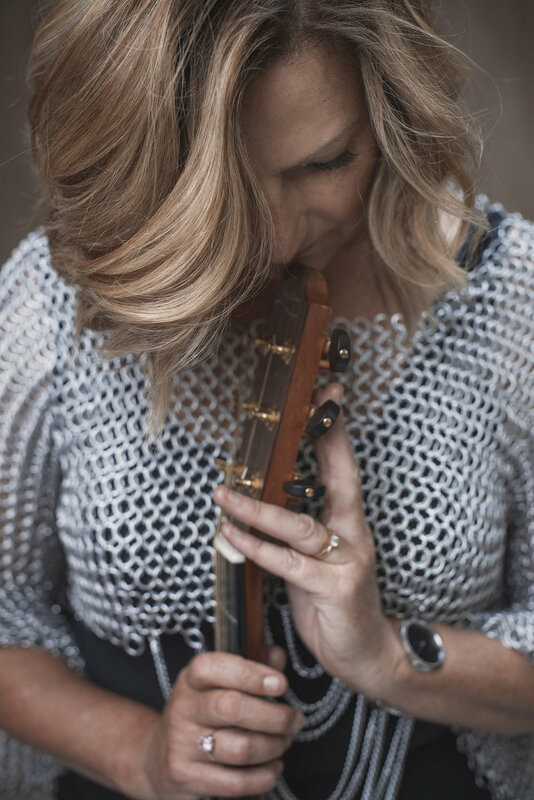 A regular visitor to Nashville (where she has performed at the world famous Bluebird Café and appeared on the Music City Roots show) Brigid collaborated there on exciting new material with Grammy-winning songwriters. O’Neill’s road to ‘Touchstone’ was not a stereotypical one. Although brought up in a household where she was captivated watching her mother singing, playing her father's vinyl albums of all the big musicals and memorising every word, it wasn’t until, as a student at Queens University Belfast , that a quaking Brigid would take to the mic at a local Folk Club – and became hooked. Despite the yearning for more, life got in the way and it would be many years, after working nine to five that O’Neill would write her first song, inspired by Foy Vance. There is no misunderstanding about O’Neill’s talent as a writer of heart wrenching, beautifully crafted lyrics.Sung with such conviction and sincerity they pull at your heart, and leave you wanting more.